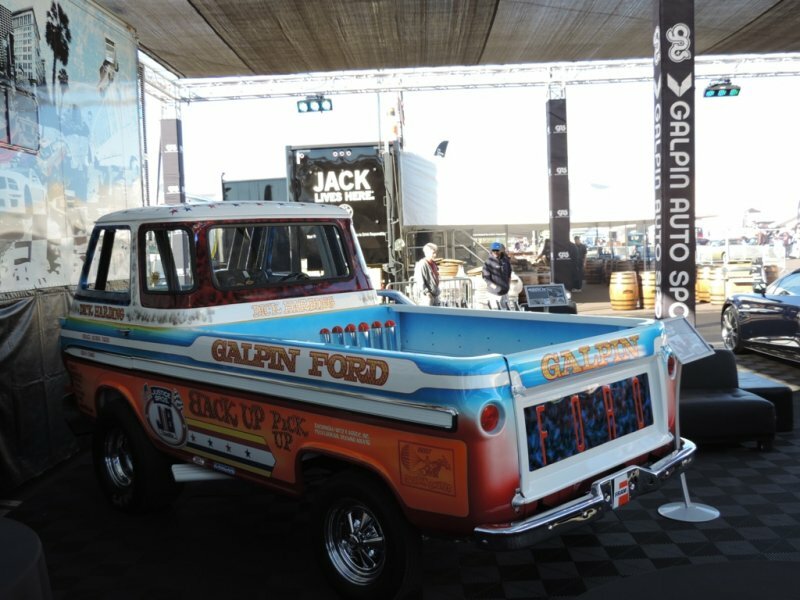 Galpin Auto Sports brought out the Backup Pickup to their display at Barrett-Jackson Auctions in Scottsdale, AZ this month. 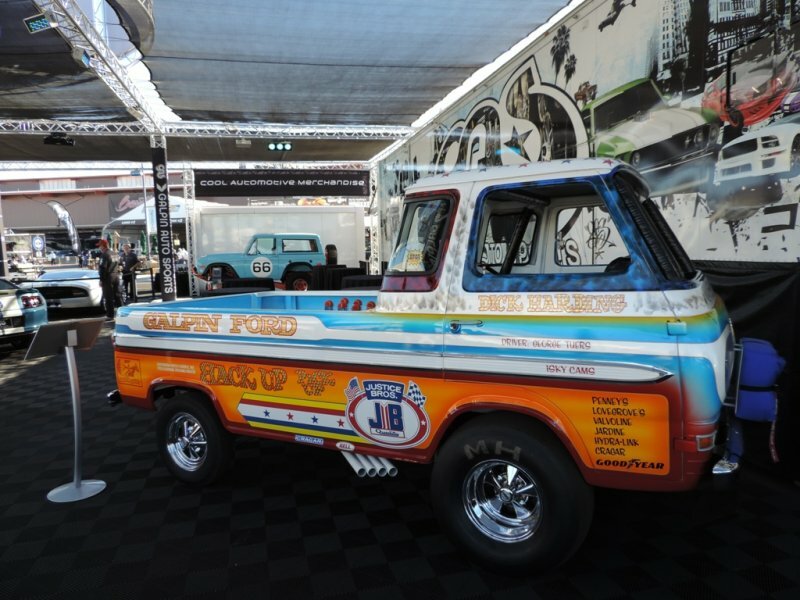 This recreation was also seen last year at the SEMA Show and our friends at Hot Rod magazine highlighted it on both their blog and in the March, 2014 print issue. This is a pretty wicked ride and was a crowd pleasing wheel stander, back in the day. 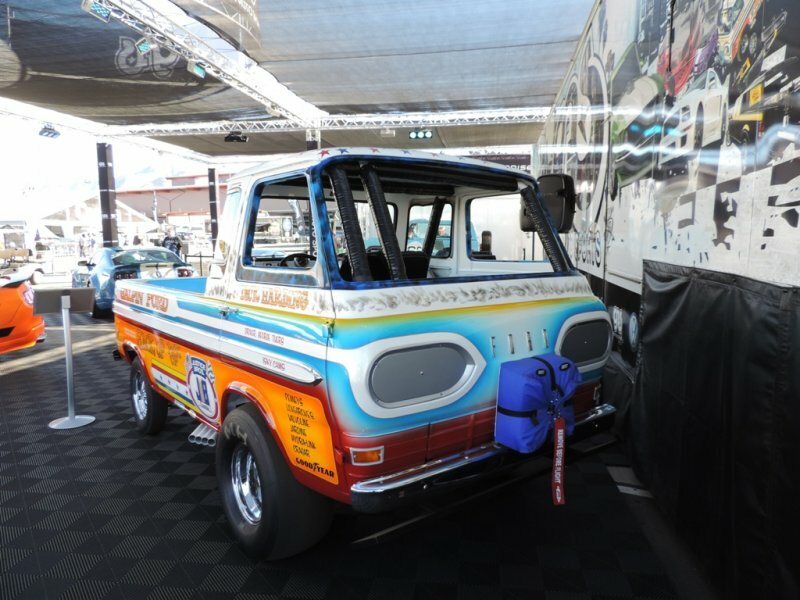 Outwardly the Ford Econoline looks okay with an awesome 60’s paint job. 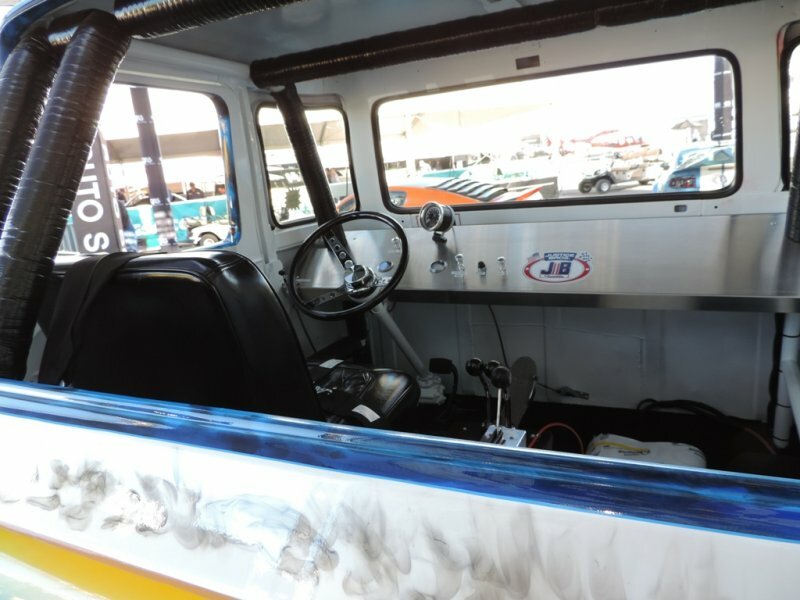 But look closely and you’ll see the driver’s seat is on the right side and facing to the rear! The paint job is a real trip and probably took weeks to plan and execute. 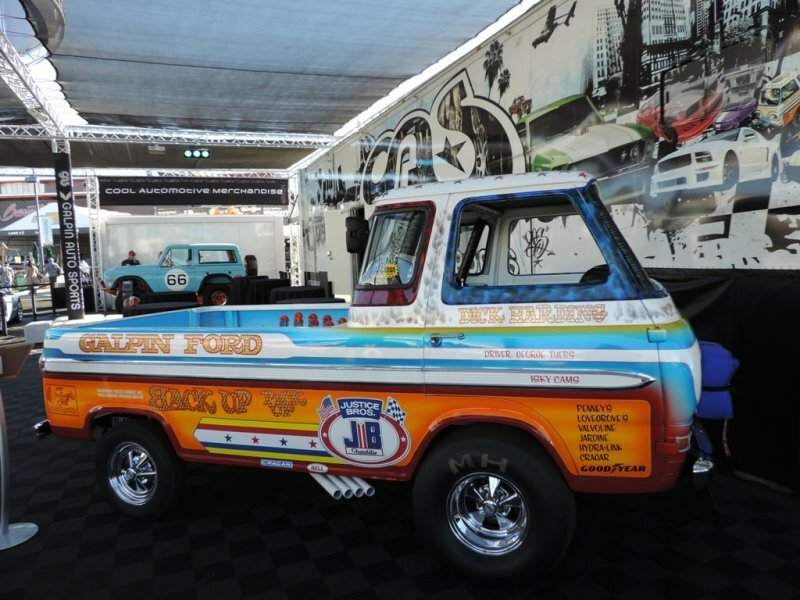 The truck sports a 427 stacked injected engine that puts out just shy of 1,000 horsepower. 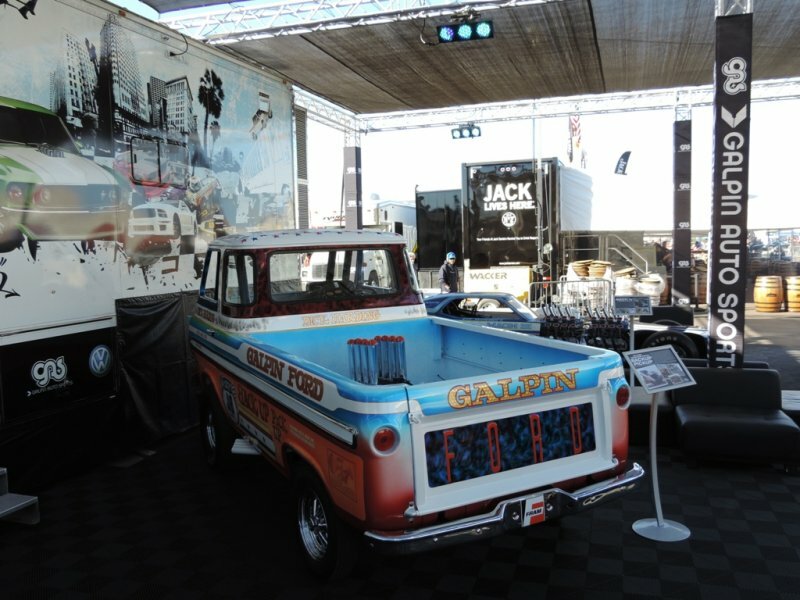 Apparently Galpin has yet to put it on the track for a full out wheel stand, but that would be sight to see. 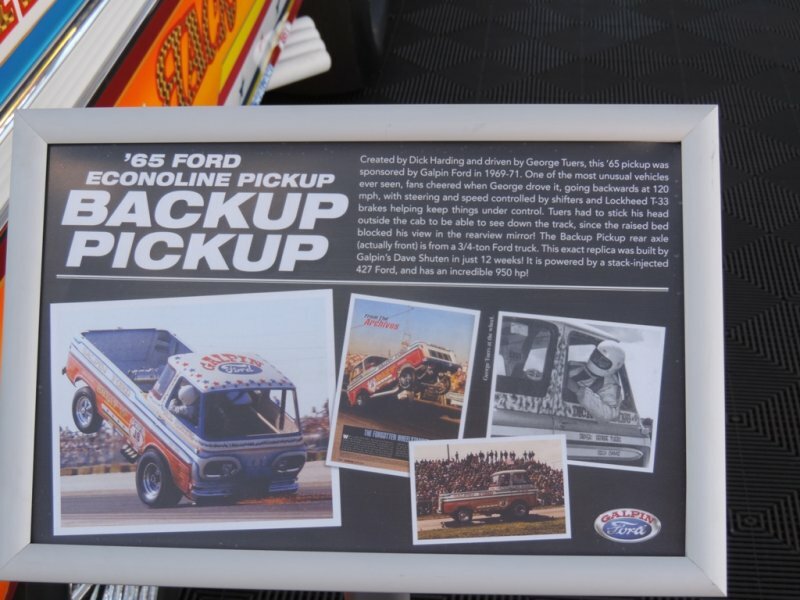 Back in the day, the driver actually had to peer out the right side of the truck to watch the track. Hard to believe that this was all done in only twelve weeks! (Although HRM said it was six months). 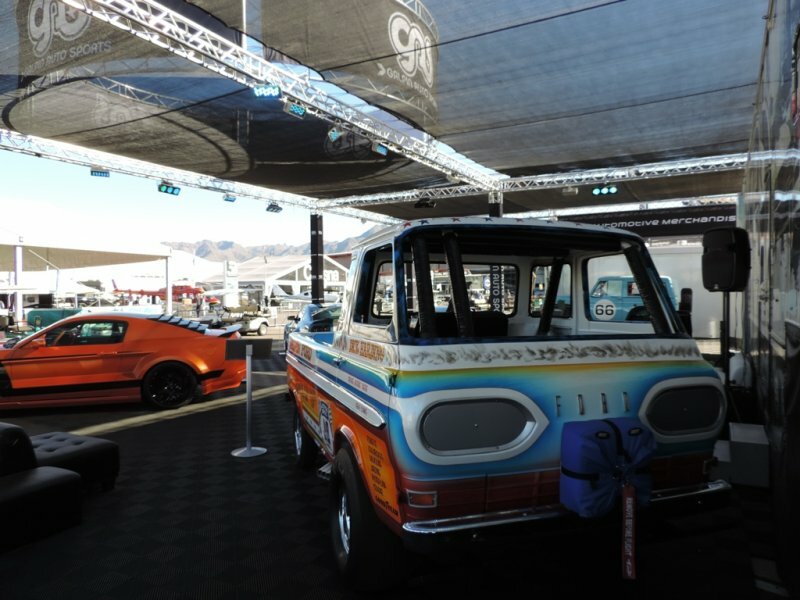 Enjoy the pictures and subscribe to this blog to learn about the Mach IV Mustang that Galpin also touted at Barrett-Jackson.